Gold Glitter Gel Makeup.Includes: One 11mL (0.4fl oz) tube of Gold Glitter Gel Makeup. *Costume and Accessories Not Included. Sold Separately. Features one Gold Glitter Gel Makeup Tube. It is water Washable. Silver Glitter Makeup.Includes: One 11mL (0.4fl oz) tube of Silver Glitter Makeup. *Costume and Accessories Not Included. Sold Separately. Contains one Silver Glitter Gel tube. The Silver Glitter is water washable. Sparkle Dust.Includes: One irridescent glitter and sparkle brush. *Costume and Accessories Not Included. Sold Separately. WARNING!! 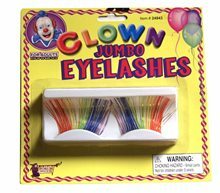 : Not for use by children under the age of 14 years old. 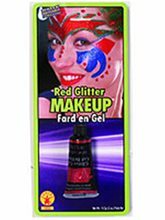 Complete your pixie fairy costume with this glitter Sparkle Dust! 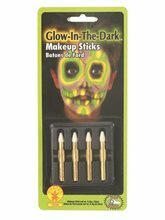 Goes great with any costume! Pearl White Glitter Makeup.Includes: One 0.5 oz pearl white glitter tube. *Costume and Accessories Not Included. Sold Separately.Pearl White Glitter Makeup is Water Washable. 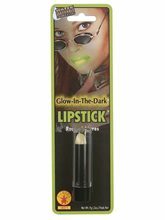 Glow In The Dark Cream Makeup;An Advanced Barrier Complex Is Infused With Uv Filters Sea Algae Soy Protein Vitamin E Aloe And Ceramide-3 For Softness.Who It'S For: Desig. 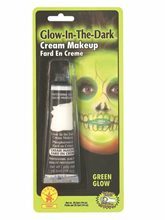 Check information and reviews before you buy G I D CREAM MAKEUP GREEN GLOW. Use Everday To Ward Off Damage Caused By Blow-Dryers Flatirons Hot Tools And Prior To Sun And Chlorine Exposure. The Ultimate Defense Mechanisms.The Protect Line Features A Collection Of Shampoos Conditioners And Shields That Safeguard Hair From All Environmental Stresses - From Styling To Sun And Chlorine The Protect Collection Keeps Damage At Bay. 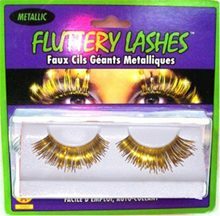 Silver crystal eyelid is silver in color.The package contains one pair of silver eyelid.The packaging contains the instructions of how to put it.